This is the new service list screen. Did you notice the button between the "Facebook" and "Twitter" images? 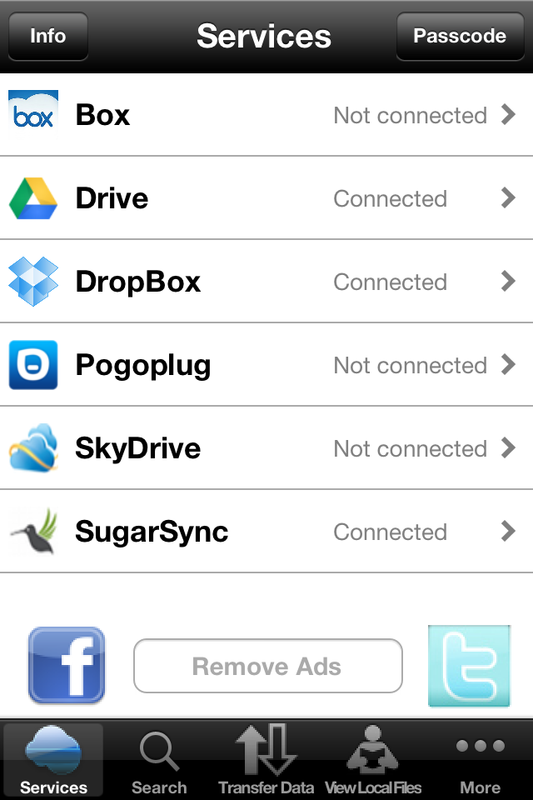 By clicking on that button you can completely remove the ads from the application. Of course, this is not free, but there is a limited 50% off offer, and it costs only $1.99 !!! Did you notice the button in the top right corner? If you click on that button, the screen that is depicted in the second image will appear. Here you can posscode protect your data. First, you need to enable the passcode, and then you need to insert the same passcode in the two fields. 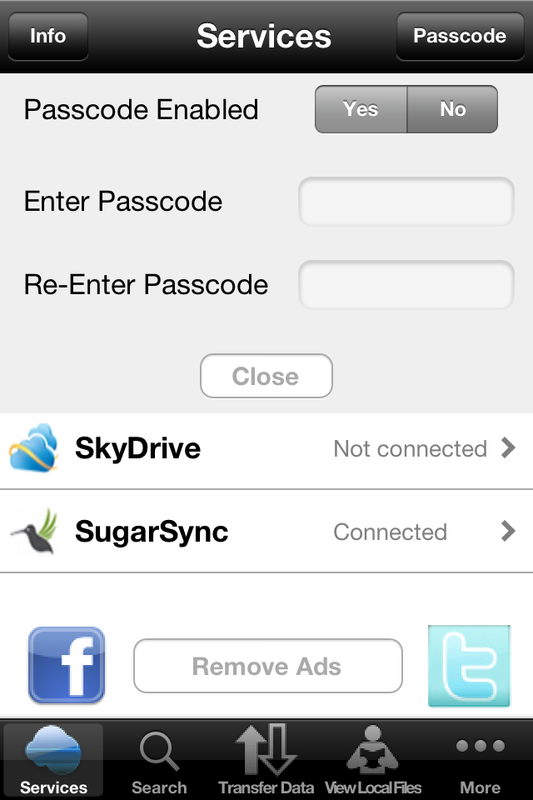 Click on the close button, and your data are passcode protected. If you like to disable this protection, choose "No" and click on the close button. A word of caution: If you passcode protect your data, then everytime you open the application you will be asked to enter that passcode. If you forget it, you can not recover it. Note, that the Google Drive service does not support these two features. 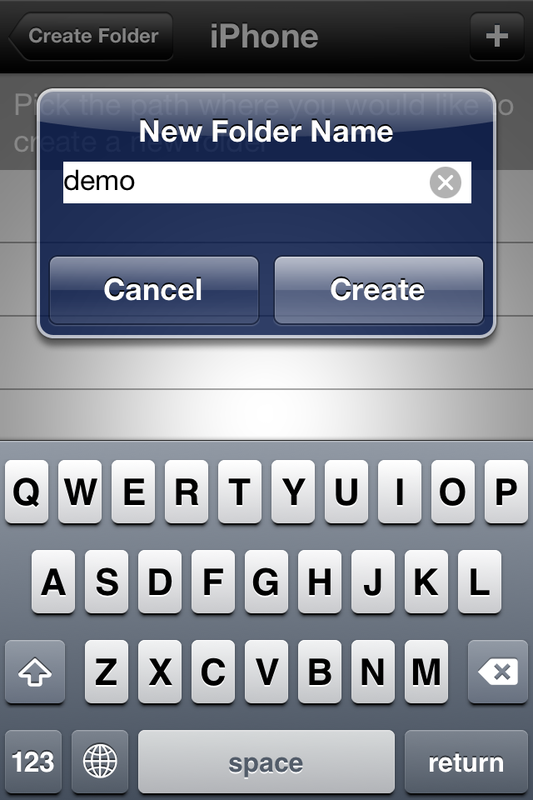 The procedure is straight forward: Starting with this screen, you select whether you would like to create a new folder or rename a file. In the next screens, you select the cloud service, and then you navigate through the filesystem. 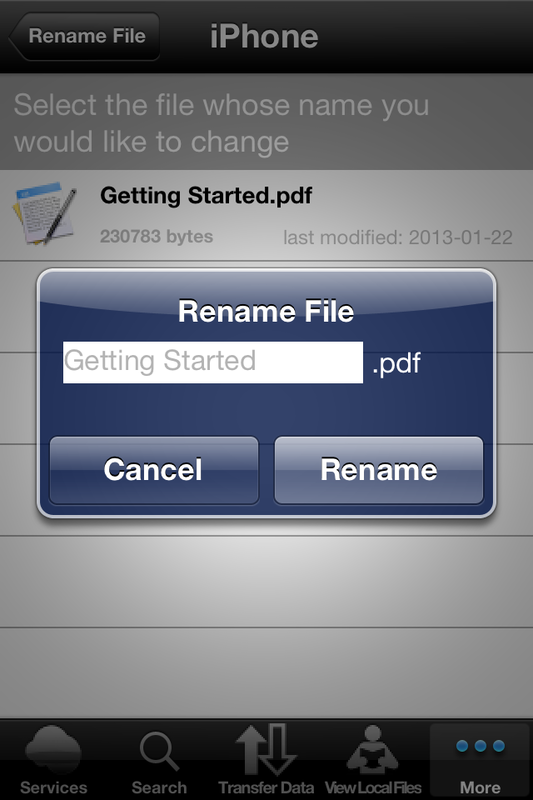 In order to rename a file, you long press on that file, and you type the new name in the dialog box that pops up. 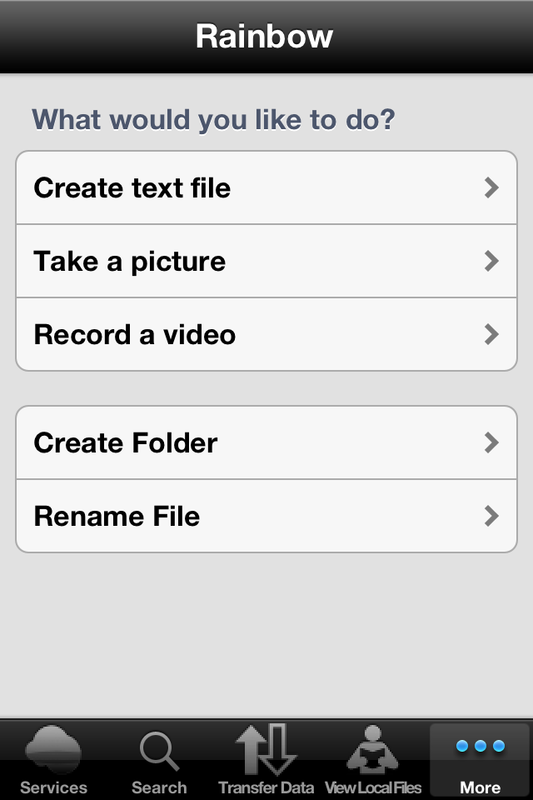 If you like to create a folder, then you click on the button "+" in the top right corner.